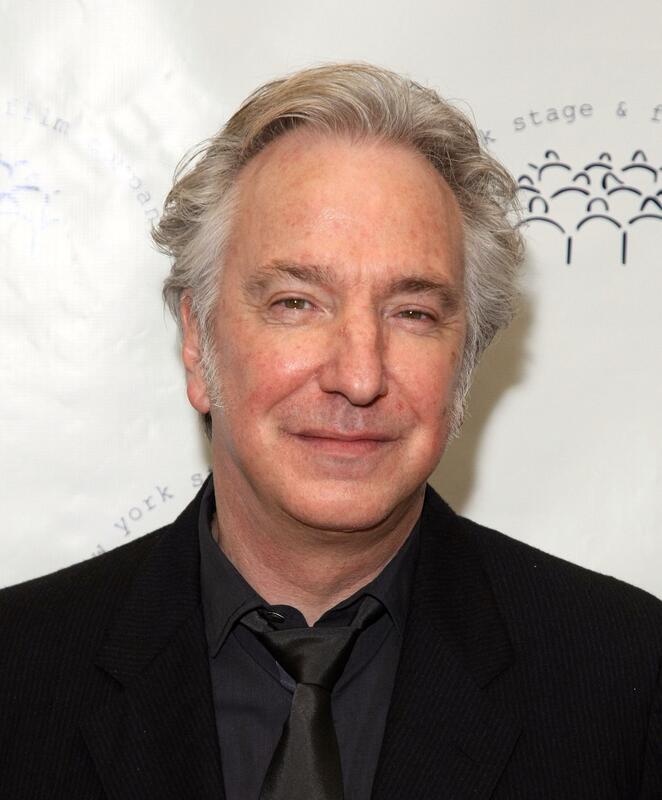 Alan Rickman (1946-2016), one of the greatest actors of his era has passed away after battling cancer at age 69. A British icon of stage and screen, he left an indelible mark on cinema that will live on with works that will be cherished for generations to come. Let’s start at the beginning, Alan Rickman’s first major movie role was Hans Gruber, the main antagonist in Die Hard (1988). Allow me to repeat that, his first big movie was Die Hard, one of the best and most influential action movies of the past thirty years. In Die Hard, Rickman redefined the cinematic villain to the point where he would be typecast as the villain for the next several years. But that is not entirely a bad thing, Rickman would give devilishly fun performances in Quigley Down Under (1989) opposite Tom Selleck and the very sinister Sheriff of Nottingham in the blockbuster smash Robin Hood: Prince of Thieves (1991) with Kevin Costner as the title hero. Throughout his career he would balance roles in the theater as well as movies. A classically trained thespian he brought a sense of class and sophistication to all of the roles he would play. His characters would often be tough and intimidating even when they were not villainous. Rickman had a slow and calm delivery of his lines. A way of speaking that he established as Hans Gruber in Die Hard. However, his most memorable trademark as an actor was his voice. A rich and distinctive voice that was easily identifiable and made every part he played memorable. During the ’90’s he tried to shy away from big paychecks after being typecast as the villain and took on smaller parts like Colonel Brandon in Ang Lee’s Oscar winning adaptation of Jane Austin’s Sense and Sensibility (1995) alongside Emma Thompson, Hugh Grant and a young Kate Winslet. In 1999 Rickman would take part in the Tim Allen vehicle Galaxy Quest. This supporting turn would be one of his best roles and it really played on his strength’s as a serious actor, along with showing that Rickman, if given the right script, had impeccable comic timing. His standout performance helped make Galaxy Quest a cut above the average family friendly comedies Tim Allen usually put out and made it a moderate to big hit at the box office. Galaxy Quest has recently emerged as a cult classic as new movie lovers have discovered it, the title of this article is taken from his character’s catchphrase in that film. Throughout the 1990’s Alan Rickman took big budget roles in films like the ones mentioned above, but also took roles in independent movies. He went back and forth between big Hollywood pictures and smaller British productions like Anthony Minghella’s romantic comedy-drama Truly, Madly Deeply (1990), Close My Eyes (1991) which starred a young Clive Owen and a low budget infidelity thriller Dark Harbor (1998). By the time the new century began, Alan Rickman would take the biggest and most lucrative role of his entire career as Professor Severus Snape in Harry Potter and the Sorcerer’s Stone (2001). 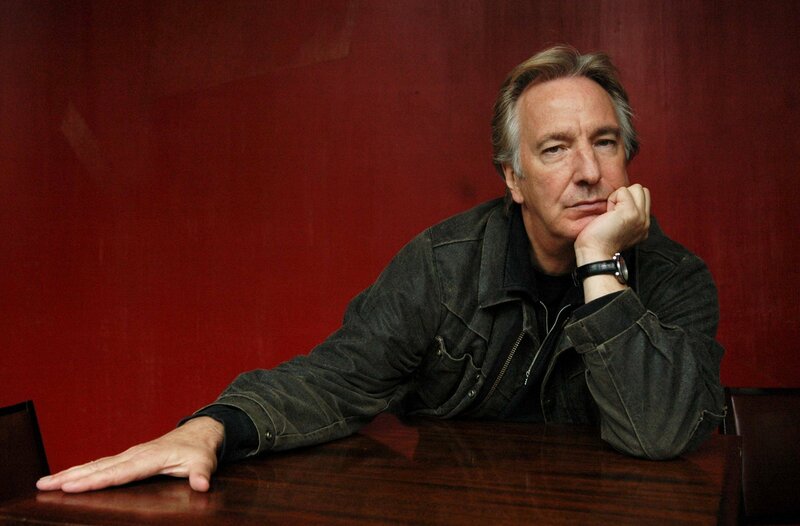 Rickman would go on to play Snape in all eight Harry Potter films over the next ten years. Snape was in many ways an ideal role for Alan Rickman, never nice and trustworthy, but never truly the villain like Voldemort played by Ralph Fiennes. Rickman played Snape as a tough love father figure to the title character. He made Snape as complex of a character as he was in J.K. Rowling’s novels and that elevated the entire Harry Potter movie franchise to being more than just an excuse for Warner Bros. to cash in on a valuable property. Hard to believe not only did Alan Rickman never win an Academy Award, inexplicably he was never nominated. His one award for acting would come for the 1996 HBO movie Rasputin where Rickman won Best Actor in a Mini-Series or Made for TV Movie. He played the infamous mad monk who brought about an end to the Czarist Russian rule and made it one of the best television movies of its era. Rickman was a welcome presence in every movie he starred in and elevated each picture with his talents, exuding a class and dignity that few actors posses. His voice and mannerisms displayed an elegance and regal demeanor that made him unforgettable in every role. It is hard to believe that he will never bring that distinctive charisma to another film, but we are fortunate to have a healthy body of work as his legacy where generations of people can continue to appreciate and admire Alan Rickman. Here are some clips from his best films. …and this is just funny.